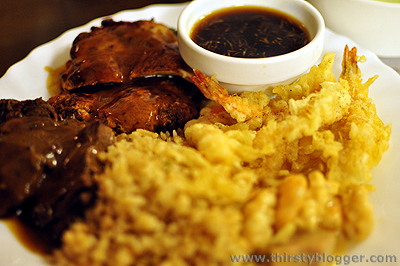 How does a roast beef and tempura dinner buffet for only P399 sound to you? A great deal I’m sure. 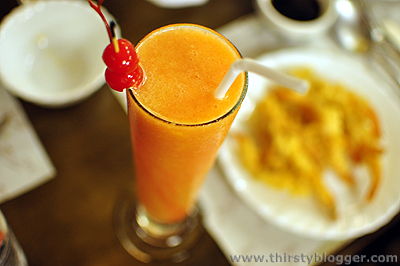 And that’s exactly what me and my blogger friends had at Ranch & Reef in Davao City during DFAT 2011 last May. Seriously, they do have a mean buffet in the house. I think I never ate so much roast beef before in my life. 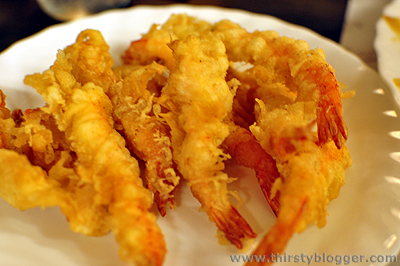 But interestingly, my favorite for the night was actually the tempura, which just kept coming to our table. Aside from these two best sellers, the Ranch & Reef buffet also has rice and pasta selections, a salad bar, dessert choices and other Japanese dishes. 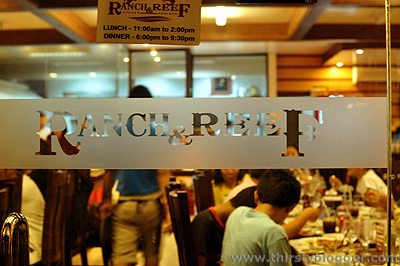 Ranch & Reef can be found along F. Torres Street, near the Davao Convention Center. They’re near Coffee Cat and Trellis n Vines. Business hours are Mondays to Sundays, from 11am to 2pm and 6pm to 9:30pm. I have been there several times and they have not disappointed so far. I love the roast beef and the tempura. 🙂 Some of their dessert selections are also yummy.